MAGS4DORSET is an independent publishing company that provides news and information to communities in parts of Dorset and Hampshire through two free publications. Viewpoint and 4Dorset are ideal publications for marketing campaigns and help to increase the awareness of local businesses. Both 4Dorset and Viewpoint magazines are distributed door-to-door in parts of Dorset and Hampshire as well as being free to read online. There are also a number of conveniently located pick-up points in places such as libraries, theatres, shops, supermarkets and community centres. The public has easy access to the 4Dorset and Viewpoint magazines, which reaches a regular circulation of readers in Dorset and Hampshire that is in excess of 137,000. Although Internet marketing can be effective for global audiences, no one can deny that printed materials are essential to maintain local interest in local businesses. MAGS4DORSET delivers 4Dorset and Viewpoint magazines door-to-door so they can reach your key customers in parts of Dorset and Hampshire. But for no extra cost, there is added value through online publication on this website where the magazines can be read by more local people as well as by a much broader audience. MAGS4DORSET also promotes its publications with regular newsletters that are emailed to thousands of subscribers. 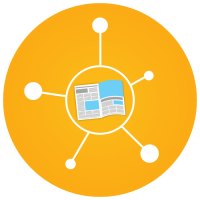 The magazines as well as additional local news are promoted on social media sites including Facebook and Twitter. This means you can reach even more prospective customers at no extra cost, which would make any advertising campaign in 4Dorset and Viewpoint Magazine remarkably good value. 4Dorset and Viewpoint magazines are distributed door-to-door in large areas of East Dorset and parts of Hampshire. Distribution also includes a comprehensive multi-drop delivery service to businesses, community centres, libraries and other places of interest. 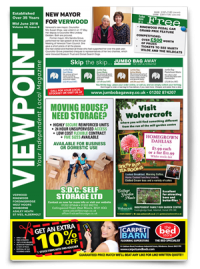 Viewpoint and 4Dorset magazines have a shared readership of over 137,000. With such a high volume of readership, advertisements are widely seen in the East Dorset and Hampshire regions. 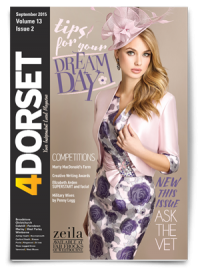 All the magazines, programmes and guides printed by MAGS4DORSET are promoted via a monthly newsletter, with links to live online magazines, other publications and website promotions. 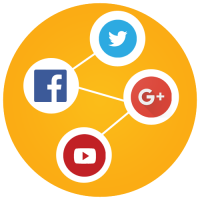 Social media is a widely used platform in this fast-paced world and MAGS4DORSET shares all of its content online, focusing on Facebook and Twitter. Social media increases interest in all the MAGS4DORSET news reports and publications. Using an online page-turning function, all of the MAGS4DORSET printed publications are available online. 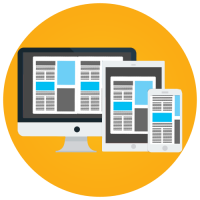 This ensures any advertising in the magazines, along with the news, reviews and articles, get maximum exposure reaching audiences online on desktops, laptops and handheld devices. Therefore, all the MAGS4DORSET content is accessible anywhere in the world at your fingertips, provided you have an internet connection. MAGS4DORSET is based in Ferndown, Dorset. The publishing company offers high-quality community publications which creates huge opportunities for businesses to target their advertising in East Dorset and West Hampshire. MAGS4DORSET‘s own publications, 4Dorset and Viewpoint reach 49,000 individual homes, businesses and places of interest. 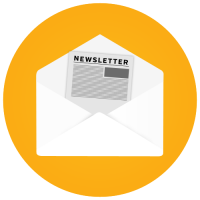 This is in addition to the online reader base, newsletter recipients and social media responders. Delivers direct to homes and businesses in selected areas of Broadstone, Christchurch, Colehill, Ferndown, Merley, West Parley and Wimborne. Also multiple pick up points in Bournemouth, Broadstone, Christchurch, Colehill, Ferndown, Merley, Ringwood, Three Legged Cross, Verwood, West Moors, West Parley and Wimborne. Delivers direct to homes and businesses in Verwood, Ferndown, West Moors, Ringwood, Fordingbridge, Alderholt, Ashley Heath, St Ives and St Leonards. Also multiple pick up points in Ferndown, Fordingbridge, Ringwood, Three Legged Cross, Verwood, West Moors and Wimborne. 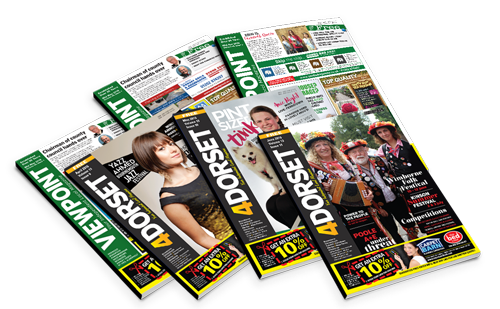 MAGS4DORSET prints over half a million (588,000) magazines per year with a potential 1.5 million readers per year. Our advertising rates for campaign packages are at reasonable prices for businesses to reach your potential customers. Finding the right marketing campaign and advertising in the right place will help you reach your goals and maximise your turnover. 4Dorset is the leading independent A4 free glossy community magazine in East Dorset and the West Hampshire border. Established for over 35 years, Viewpoint Magazine is the leading independent, full colour, A4 glossy community magazine serving the hearts of Fordingbridge, Ringwood, Verwood, West Moors, Wimborne and north Ferndown. Throughout the year MAGS4DORSET works in association with local councils and charities to provide council magazines, town guides and charity event programmes. These publications are usually A5 and are very well supported by local businesses. The guides and magazines provide a great source of information to local residents and the programmes give details about upcoming exciting local events. Contact us to find out how we can help your council or charity. Over the years that we have used the 4 Dorset and Viewpoint magazines we have found they have been an excellent vehicle for communicating with the local audience just how accessible the routes to France are from Poole and Portsmouth. With the online versions of the magazine having a click through facility we also get the benefit of an online presence without an extra cost. Since joining forces with 4Dorset Magazine with our Vet Q&A feature, we have found them helpful in terms of copy deadlines and proofing ads and editorial. A nice team to work with! Forum Jewellers are delighted to advertise within mags4dorset every month. The professionalism of both the company and the publications make them an ideal representation for Forum Jewellers. They are always helpful when it comes to producing artwork and always manage to provide quality adverts keeping within our brand guidelines. The quality of print and coverage for the local area ensures we receive the desired response from each advert. I would be happy to recommend Mags4Dorset to anyone for their advertising needs. Moyles Court has advertised with Mags4Dorset for many years and we have utilised the leaflet delivery with the magazines to promote our open days, which has proved very effective. The discounted series of advert bookings has also been helpful to our overall yearly marketing campaign. Their customer service is friendly and efficient and we have appreciated their support by publishing our news stories. We very much look forward to working with Mags4Doreset for many more years to come! I would like to thank Mark and the team at M4D for all their help over the past year. We launched as a new business nearly a year ago and decided to pick a few of the popular local magazines to place adverts and editorials. The design team at M4D are the best we use. Their work is thorough. We have had a number of new clients who have seen the adverts or articles in the Viewpoint magazine and registered at the practice. Mark listens to our requirements and helps us to find good ways of promoting our services. We have used both the Viewpoint and 4Dorset publications for 7 years to promote our hearing healthcare business based in Christchurch and Verwood. We feel it is important to be a part of the local community and the ‘local’ flavour of both publications offers us an opportunity to be seen by local people who could benefit from our services. 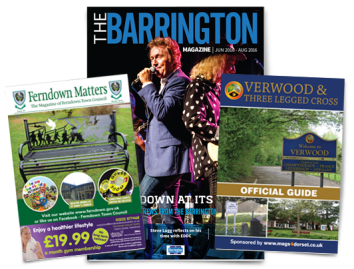 We frequently run special events at our own hearing centres and at local community venues such as The Barrington Centre and Verwood GP surgery and always use the Viewpoint and 4Dorset magazines to promote them. The magazines are produced to a high quality and have interesting news items which make them an ideal media for us to promote our business. I have been advertising my business, Tandem Hair, in the 4Dorset magazine for over 10 years now. I have found the whole service exceptional, from the accounts department who are always helpful to the graphics department who always come up with some great ideas to keep our advertising fresh and current. I have always been well informed of any special offers and any new ideas coming up. The 4Dorset magazine has been a great platform enabling us to reach our local target audience. We have always had a fantastic response from our adverts especially all our special offers. I am really happy with the working relationship we have with 4Dorset and look forward to working together throughout 2017. I have been advertising with the Viewpoint since 2013 and it is now the only magazine I advertise in. Since advertising with Viewpoint I would say that 95% of my customers have contacted me after seeing my advert in the Viewpoint. I look forward to a continued business relationship.